This user-friendly website presents film reviews, images and video in a stylish and balanced layout. The colour palette is rich with inky blues and a burgundy background. The header is layered with twenty-four characters from my favourite films. 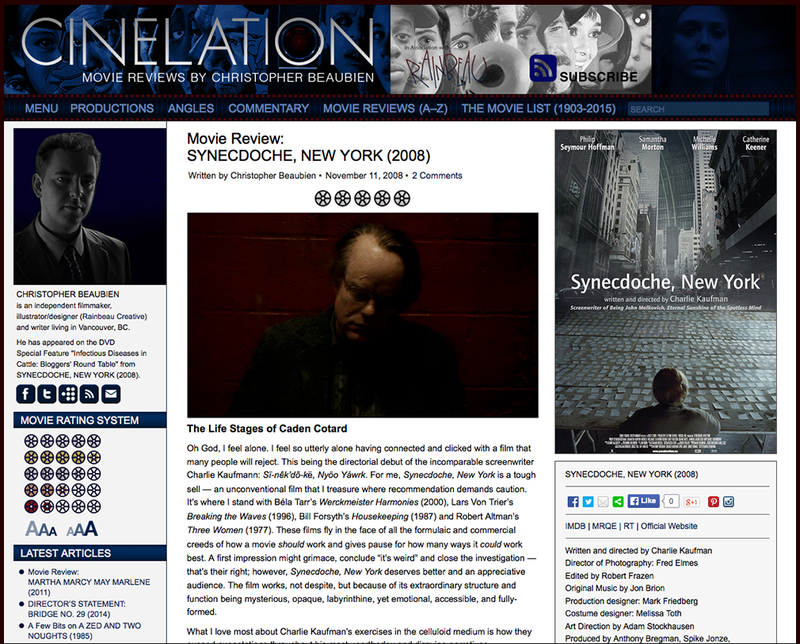 Check out the Cinelation website HERE.